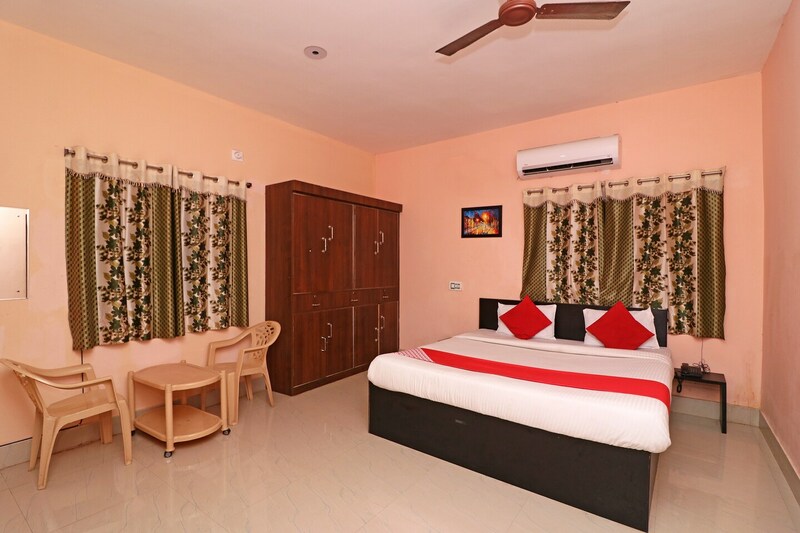 Hotel Dream Castle is truly a dream for the customers looking for an affordable choice. A personal closet with wooden finish and a window to allow fresh air and sunlight into the room tries to connect the customers with their roots. There is provision for front-desk services and they can be reached using the personal landlines delivered in each room. A single workspace has also been incorporated into the room in the form of a chair and a table. Curtains with exciting designs and the neutral tone of the complete room will definitely help you to destress and rejuvenate yourself.